instructions for the projects featured in her book. I am always looking for ways to maximize the growing space in my garden. 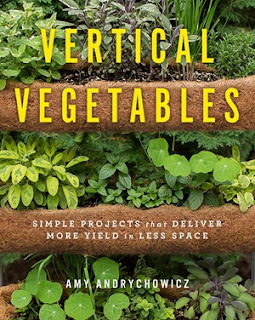 So when I learned that “Vertical Vegetables: Simple Projects that Delivery More Yield in Less Space” was recently published by Amy Andrychowicz, I couldn’t wait to read it. 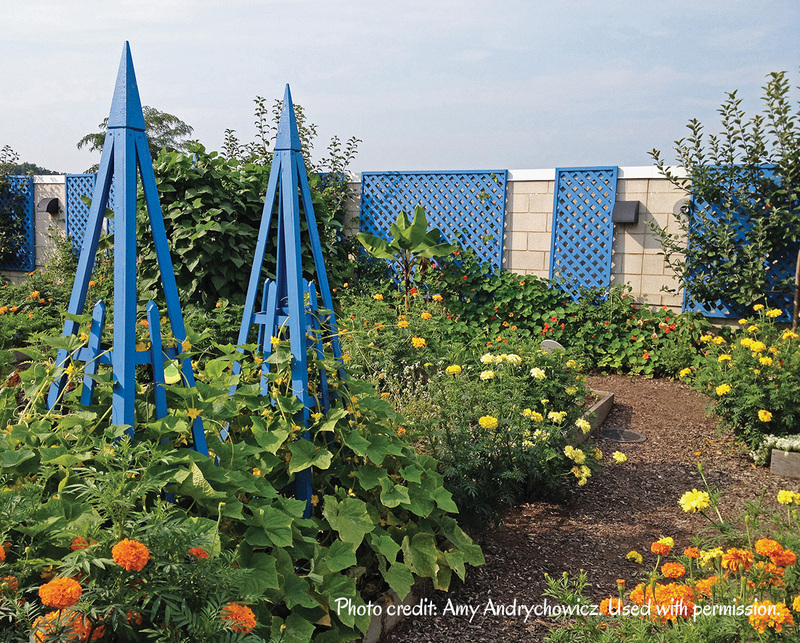 Andrychowicz shares many benefits of growing vegetables vertically, such as keeping produce off the ground and making harvesting easier. The book begins with vertical gardening basics and recommendations for which plants are suitable for growing vertically. And then comes the fun part for the Do-It-Yourself gardener: plans for how to build trellises, obelisks, planters and more. No matter what the size of your growing area is — a deck, apartment patio, or even a large garden — Andrychowicz has a project you can try. She advises planning where vertical structures can be placed in your garden/property before beginning. With winter slowly receding, the bones of the garden should be soon in view, and you can easily see which area might benefit from a vertical structure (or two)! Be prepared to be inspired by the photography in the book. Photo credit: Amy Andrychowicz. Used with permission from Quarto Books. Upcycled Living Picture Frames. Photo credit: Tracy Walsh. Used with permission from Quarto Books. While there are plans for an arbor, an arch tunnel and trellis, not all projects require a lot of garden space. 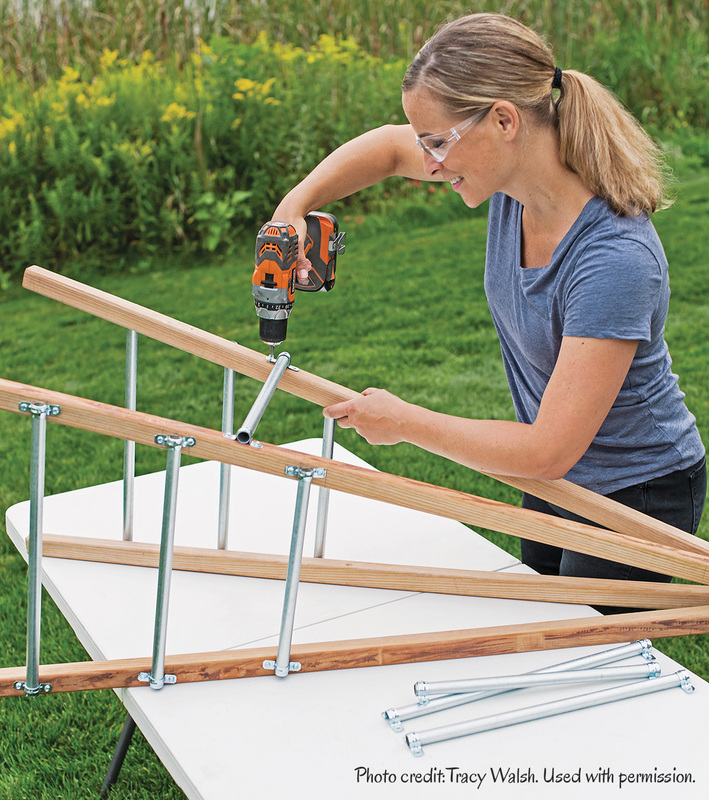 Andrychowicz offers fun projects ideas that could work on a porch or patio as well, such as the Antique Ladder Hanging Planter (page 125) or the Self-Standing Privacy Wall Garden (page 145). Some of my favorite projects from the book include the Upcycled Living Picture Frames (page 113) which can be arranged on a fence or a wall. (How pretty would that look with edible flowers?) You also can’t go wrong with a Classic Obelisk (page 85). Maybe you are looking for ways to use previously unused parts of your property for growing edibles (such as a driveway). If that’s the case, be sure to check out the Planter Box with Trellis (page 161). No matter your skill level when it comes to tools, this book has a project you can try in your garden. “Vertical Vegetables: Simple Projects that Delivery More Yield in Less Space” retails for $24.99. I was provided a review copy of “Vertical Vegetables” from Quarto Knows. Opinions expressed in the review are mine.